Every so often I discover a recipe that surprises me. The idea of putting strawberry jam on a hot dog just sounds gross, doesn’t it? How about adding the nutty taste of Swiss cheese into the mix? Who would do that? Geniuses, that’s who! It tastes amazing! Seriously, you may not believe me, but you should try it. Hot dogs don’t need to only be dressed in ketchup, mustard, and relish. Just like I don’t need to always go to work in a suit and tie. Sometimes maybe I want to wear a diaper and combat boats because I’m feeling crazy. The Monte Cristo Hot Dog is the hot dogs’ crazy outfit. Hey, it’s a free country. Does it really taste good though? Yes! 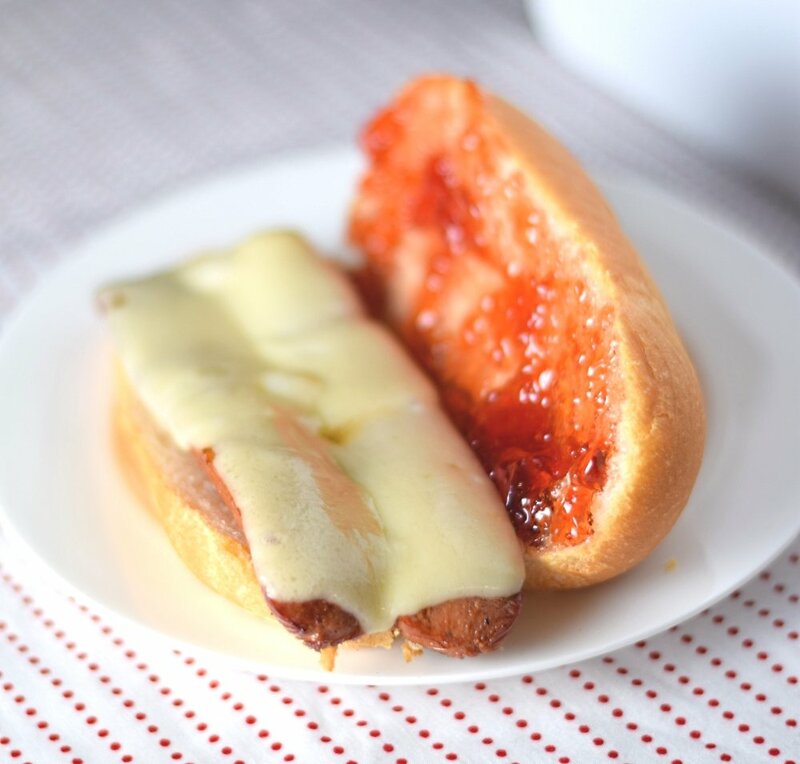 The saltiness from the hot dog balances perfectly with the sweetness of the jam and the mild taste of Swiss cheese adds a nice gooey mouthfeel without competing with the flavors. Give it a try and thank me later. Live a little. Otherwise you can just wear diapers and combat boots to work instead. Your choice. 12” skillet – Since the quarter pound hot dogs are butterflied open they take up more room so you will want to use a large pan for this. I like my cast iron skillet since it holds heat well and creates a nice sear, but any large pan will suffice. 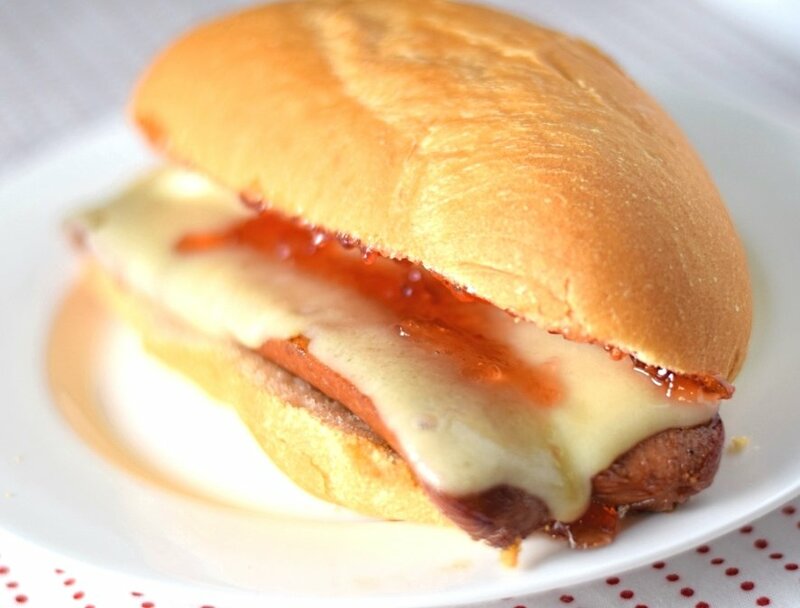 A Monte Cristo hot dog may sound crazy but it is actually delicious. Sweet, salty and ooey gooey cheese! Give it a try, you will surprise yourself! Butterfly hotdog and melt butter in pan. Pan fry hotdog in butter on both sides until cooked through and creating a nice sear on the meat. Place Swiss cheese over the top and cover with lid till cheese has melted. While hotdog is cooking butter the bun inside and out then toast on both sides, only lightly toasting exterior. Spread jam on bun and top with hotdog. 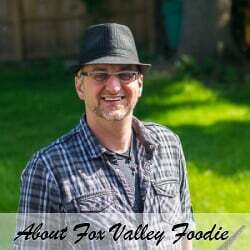 If you enjoyed this Monte Cristo Hot Dog recipe then you should probably like me on Facebook and follow me on Pinterest too. That’s what I would do at least, and if you are willing to take my advice on the food you put into your body you should probably follow my advice on that too.